Machine learning isn’t exactly a new concept. We’ve been using it to help machines improve themselves to become more effective and efficient since the 70’s. But it’s only in the past decade that we’ve begun to see immense acceleration in machine learning due to huge investment and the wonder that is open source software. It’s this rapid growth that has brought artificial intelligence onto the unnerving horizon. We interact with machine learning on a daily basis. Your Facebook feed, Netflix, Youtube and Spotify accounts all present you with information based on what it has learned about you. But how can machine learning be used to do more than that? How can it be used in scientific discoveries, biological enhancements, space exploration and… tennis? Elon Musk – arguably one of the most intelligent people on the planet – has stated on multiple occassions across various media outlets that he believes AI and ML are the biggest threats we face as a species. This makes it seem more important than ever to have an understanding of what’s happening in the world of artificial intelligence. To help you get a better understanding of exactly what’s going on, I’ve curated 14 of the very best machine learning and aritifical intelligence podcasts. Who is it for? Anyone with an interest in AI. Not overly technical. 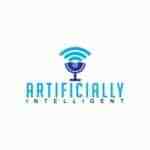 This podcast is laser focused on artificial intelligence and every episode introduces you to a new guest who has some interesting insight on ways in which they are using Artificial Intelligence. Each podcast will give you a great deal of insight on the ways in which machine learning is changing the world we live in, giving you a better understanding of the vast range of possibilities that come with AI. How AI can help you find your next tattoo. How AI is changing the fashion industry. How AI can improve brain tumor treatment. These are just some of the exciting topics you can learn from The AI Podcast. Who is it for? Someone with a little bit of a technical background who wants to dip their toes into the world of AI and machine learning. 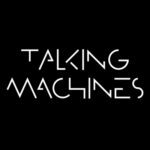 Talking Machines is a great AI and machine learning focused podcast that not only highlights some of the amazing possibilities for AI but also some of its potential downfalls. Episodes are released every two weeks, making it the perfect dose for someone wanting to keep up with advances in the AI world without frying their brain in the process. Each podcast brings on a new guest with expertise in artificial intelligence and machine learning, bringing knew light and opinions to the discussion. Who is it for? Perhaps this one is more aimed toward the data geek; someone who loves knowing more about the finer details of machine learning and how it is shaping the world around us. 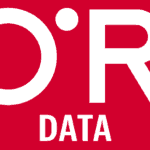 The Oreilly Data Show Podcast jumps into some of the practical applications of machine learning and the advances in the industry. It focuses more on machine learning within enterprises than AI itself, talking more about how we can improve system efficiency across different applications rather than how robots with AI are going to take over the world. Each episode explores a very specific area of machine learning with a new guest. Who is it for? Interested in learning more about the risks of AI and just how much of a threat it could be to you and the rest of the human race? This podcast is for you. 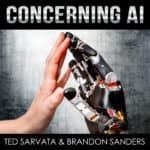 While most AI and machine learning related podcasts tend to focus on the applications of AI and how it will help us, Concerning AI is a slightly more relaxed, conversational podcast that really pulls apart perhaps one of the most important and under-discussed topics in the AI world: Should we be worried about the threat of AI? Episode titles such as Don’t Worry, Be Happy and We Don’t Get to Choose give you a good idea of the content waiting for you inside these exciting and extremely important discussions. Who is it for? This podcast is for the slightly more tech savvy AI geek who wants to know about some of applications of machine learning and AI across different verticals. The TWiML & AI podcast takes a much more niche approach to its conversations, interviewing a range of machine learning and artificial intelligence experts who shed light on the plethora of ways in which they can be applied to corporate and social activities. It’s a great source of AI innovation and could even give you your next big idea! Whether it’s tennis, heart disease or exoplanet discoveries, you’ll be amazed at some of the ways that machine learning is being applied in the 21st century. Who is it for? Someone who’s interested in learning how they can empower their company with machine learning and AI. Ever wondered what some of the biggest companies in Silicone Valley are doing with AI and machine learning? Well wonder no more. 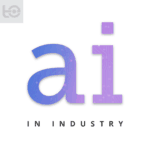 Every week in Artificial Intelligence in Industry, Dan Faggella inteviews top AI and machine learning executives, researchers and investors from companies such as eBay and Google to find out exactly how they’re empowering their companies. Who is it for? 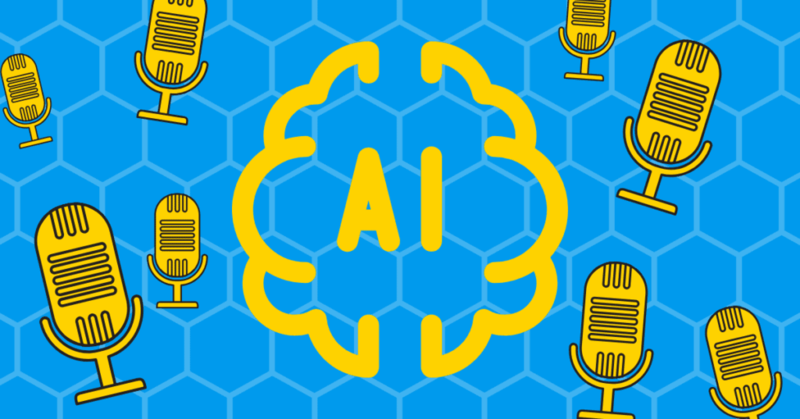 From beginners to more advanced AI nerds, this podcast’s converstional format is a great way for almost anyone to stay up to date on the latest thoughts, advances and applications for AI. Hosts of the show, Christian and Stephen, promise to she light on how AI will affect your life, your work and your business with their weekly podcast, Artificially Intelligent. 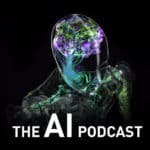 Unlike most podcasts, this one doesn’t take the typical interview structure but instead features the two hosts discussing different areas of AI. This light conversational style makes you feel like your part of the conversation and makes for great easy listening, despite the somewhat complex topics. Who is it for? Anyone looking for a very quick daily dose of AI discussion. 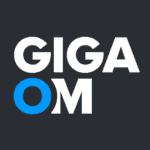 Gigaom AI Minute is a daily show with each episode running for less than 2 minutes. Byron Reese hosts the show and takes a monologue format, planting the seed for new ways of thinking about AI and machine learning. It’s a podcast that will make you question your opinions on AI and perhaps even provoke some controversial thoughts. All this within just a couple of minutes each day. Who is it for? Anyone interested in learning about some of the latest innovations in AI and how it is changing the people, objects and companies we interact with on a daily basis. This is a fairly new podcast on the block. 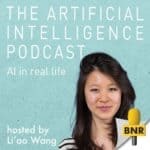 In each 15-30 minute episode of The Artificial Intelligence Podcast, host, Li’ao Wang interviews different AI and machine learning experts from around the world to try and get a better understanding of how AI is currently being used and how it is going to affect us in the future. These relatively short podcasts give great insights into the thoughts of industry experts. Who is it for? Interested in health, biology or biohacking? This podcast is right up your alley. Brain Inspired takes a unique approach to AI, investigating how neuroscience can be integrated with machine learning and artificial intelligence. Each week, Paul Middlebrooks talks with mostly scientists who are on the cutting edge of neuroscience giving amazing insights into how AI is playing a massive role in modern scientific development of our understanding of the human brain. Each episode runs for roughly 1 hour and is packed full of suprising facts. If you’re a tech geek who also loves a bit of science then you’ll want to tune in to this one. Who is it for? Anyone who’s interested in learning what some of the greatest scholary experts are thinking regarding Artificial Intelligence. Lex Fridman is a research scientist at MIT and in his long-form podcast, Artificial Intelligence, he interviews some of the greatest minds in the world of AI, from the perspective of deep learning, robotics, AGI, neuroscience, philosophy, psychology, cognitive science, economics, physics, mathematics, and more. Conversations are highly engaging and give great insight into the future of AI and some of the real world problems we are facing in the development and regulation of one of the greatest technological advances of mankind. Who is it for? Anyone interested in learning about some of the practical applications of AI and machine learning. 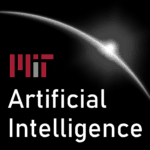 This podcast features interviews with various AI and machine learning experts who discuss some of the latest applications for AI while answering some of the most common questions that you might still be looking for the answer to. 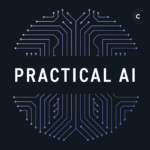 From conversations that investigate how AI can depict humans through art, how Google is making the most of AI within the company and how AI is helping us with space exploration, there’s plenty in there to fulfill your AI and machine learning needs with the Practical AI podcast. Who is it for? Anyone with interests in the various applications of AI across multiple industries. 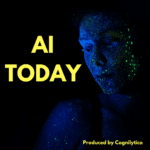 AI Today is a podcast that takes a deep dive into the individual applications of AI. Kathleen Walch and Ronald Schmezler interview experts in the field of artificial intelligence to shed light on some of the latest advances of machine learning and the challenges it faces as its applications are rapidly accelerating. From conversational AI to AI in news and journalism, no stone is left unturned in these insightful short-form podcasts. Roborah is a bonus since it isn’t exactly a podcast about AI. Instead, it’s a podcast scripted and presented by AI. WHAT? Yes, you read that right. All conversations are between to artificial intelligence robots, namely Spencer and Jess. These two AI presenters – the first of their kind – search for relevent news and events of the day and present them on their very own podcast. As if that wasn’t enough to leave your jaw dragging on the floor, they even play a song that has been entirely computer generated. Geek or no geek, you’ve got to tune in to this one. Think we’re missing something? Let us know!